Treasuring Memories: Joy and the winner of the Maja- giveaway!!! Joy and the winner of the Maja- giveaway!!! 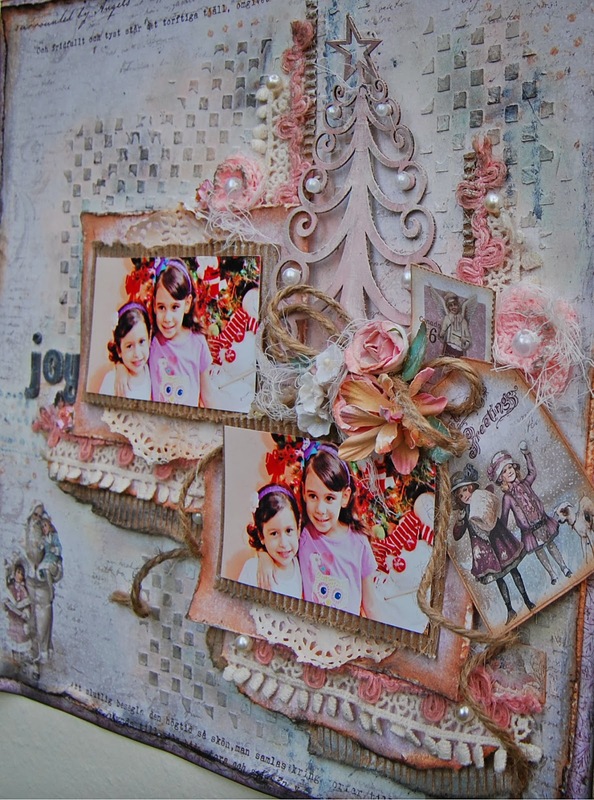 But today I'm going to show you a page with the new collection Vintage Frost Basic and the winner of my giveaway! I worked this page with the 4th, 5th, 6th of December papers and the Christmas diecut paper. 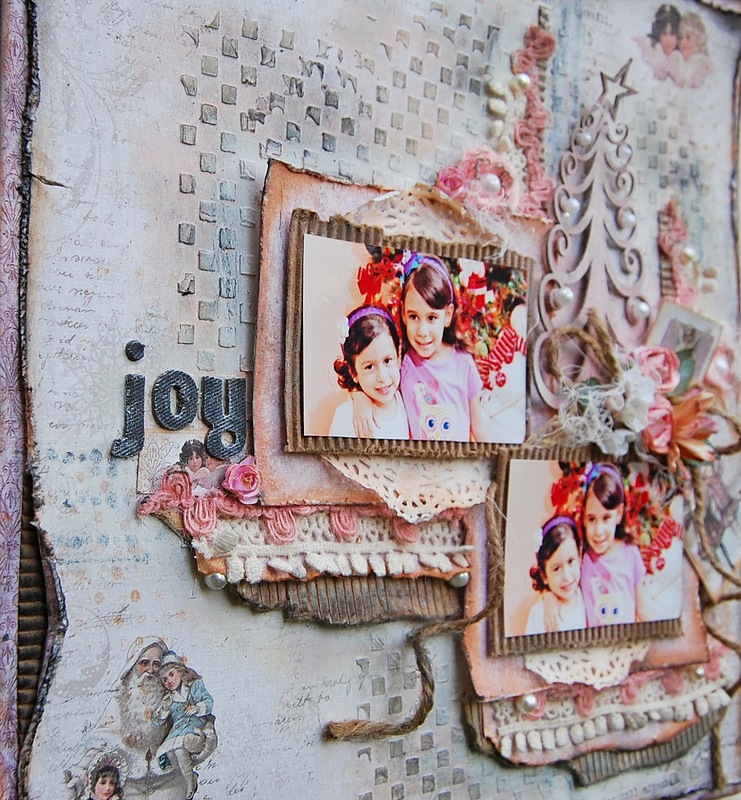 I made layers with lace, corrugated and paper doily and for more texture molding paste. ...some fussy cutting from the Christmas die cut paper. 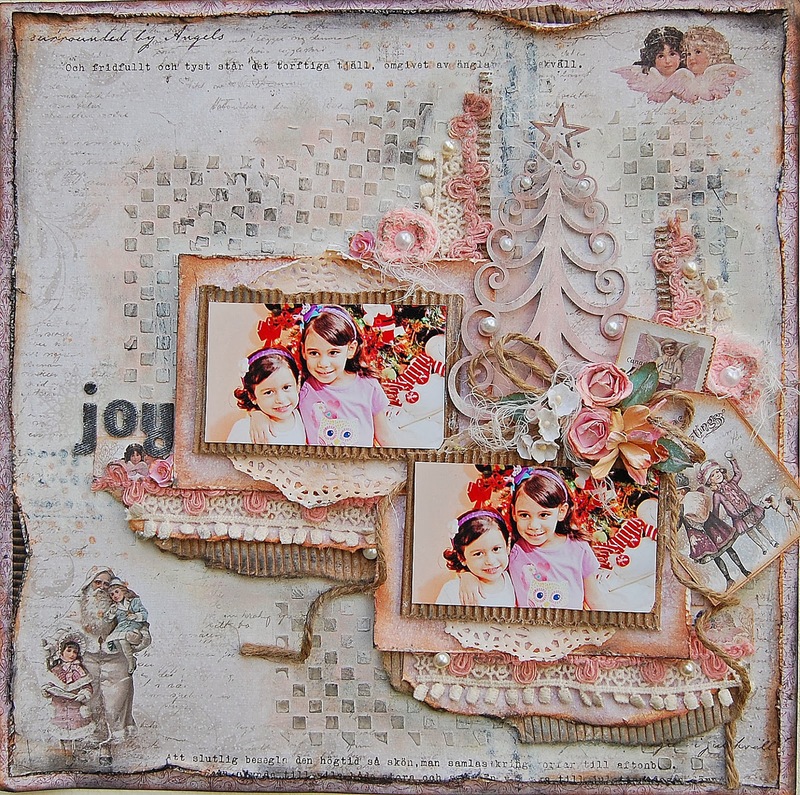 The Christmas tree is a chipboard by Scrapmatts. Such a stunning page! I imagine you are all getting adjusted slowly but still miss "home." Oh my, such an amazing lay-out! That Christmas tree looks gorgeous! A beautiful layered page and congrats to Beatrice! Wow!!!!!!!!!!!!!!!!!! This is stunning! Love the PINK! Such a pretty tree, gorgeous background and perfectly used embellies! <3! Just the prettiest! Happy New Year Marilyn! Bello, como siempre amiguita! Los papeles están espectaculares. Wonderful page lovely layers and details. 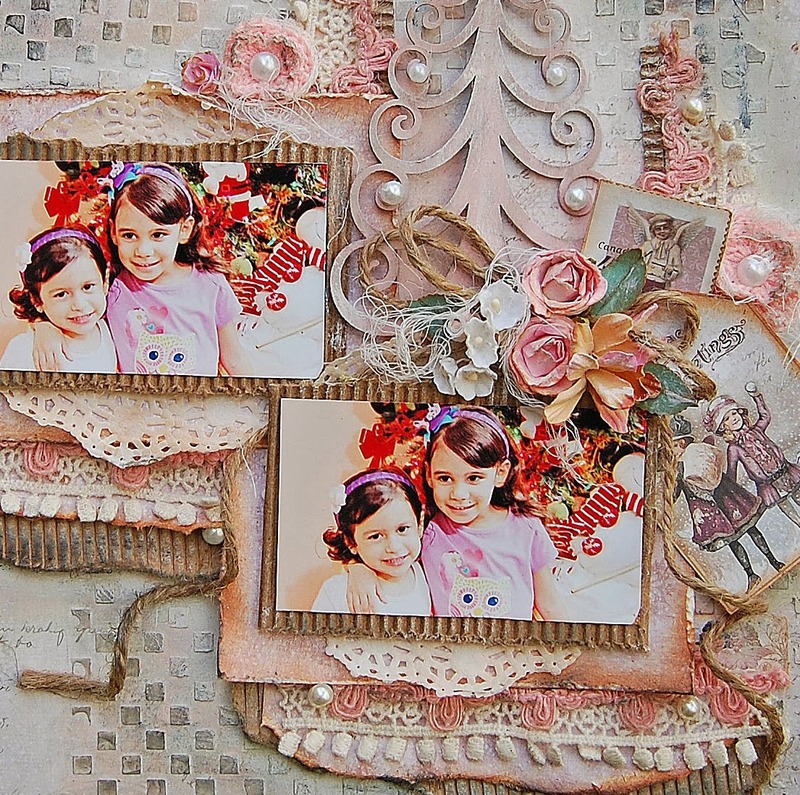 Gorgeous page and love all the layering, lace and background! Fabulous page!